Calidus Resources have continued their spectacular run of drill hits at the Warrawoona gold project in the East Pilbara, adding to the region’s claim to be one of Australia’s most exciting emerging gold provinces. The recently listed junior explorer today announced a spectacular 6m drill intercept grading over two ounces to the tonne from just 49m down hole. The intercept included an eye-watering 2m section grading 182 grams to the tonne gold. The latest results came from the “Gap Zone”, a 700m slice of land that sits between the eastern and western Jorc compliant resources at the Klondyke prospect within the project. Calidus previously reported a solid 27m intersection grading 5.85 g/t gold at this prospect. 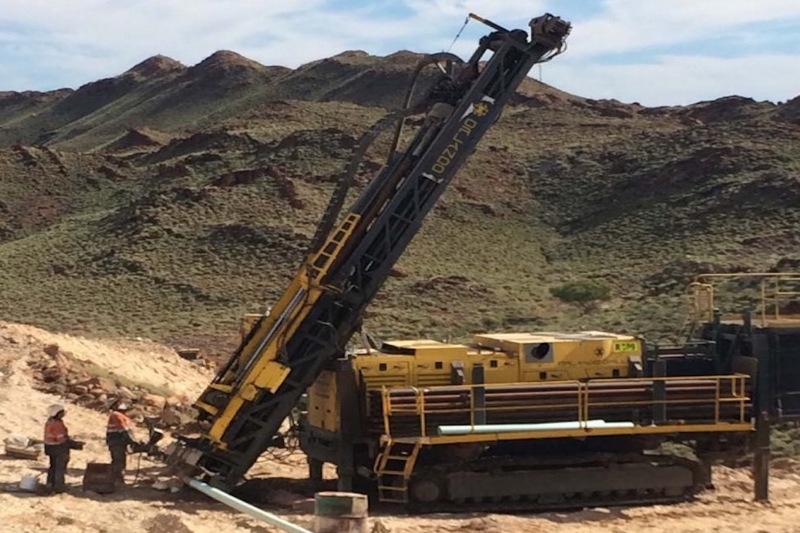 Even more remarkably, every one of the 40 RC drill holes at the project to-date have punched through ore-grade mineralisation, prompting the company to increase the number of metres to be drilled from 10,000 to 12,600 in the current campaign. Other drill intercepts announced today include 12 metres at 3.73 g/t from 40 metres, 9 metres at 4.56 g/t from just 3 metres below surface and 33 metres at 1.09 g/t from 23 metres down hole. Importantly, the resource appears to be outcropping at surface, offering a potential fast track to cash flow once a reserve is established. The Warrawoona project, which is 25 kilometres south east of Marble Bar in W.A, sits on a greenstone belt with dozens of small, historic mines that suddenly appeared during a gold rush in the Pilbara in the 1890s. The region fell from favour when gold was discovered in Kalgoorlie, but is undergoing a renaissance thanks to the likes of Millennium Minerals and its 80,000 ounce per annum Nullagine project. Warrawoona has not seen any modern day exploration and its last major drill campaign was in 1991. The key to opening up its potential was some clever footwork by AIM-listed Keras Resources, which consolidating a contiguous package of tenements over Warrawoona for the first time. A limited drilling campaign in 2016 confirmed the project’s significant potential and led to a backdoor listing of Keras’ Australian gold assets via Calidus, along with a strongly supported capital raising of nearly $8m. Keras is led by Perth-based mining engineer Dave Reeves, who has taken on the role of Managing Director at Calidus. Announcing today’s new drill hits, Reeves said “The consistent intersection of ore grade gold mineralisation including very high grade gold numbers is pleasing, and it supports the known historic mined grades of 30g/t to 180 g/t that were commonly reported in the area. Our knowledge base on the controls of the high grade mineralisation is growing rapidly and will be used to target these zones in future drill campaigns. Warrawoona already has an inferred mineral resource of 410,000 ounces at 2.2 g/t, split between the Klondyke and Copenhagen prospects either side of the 700-metre wide Gap Zone. These resources are confined to just 2 kilometres of the 7.5 kilometre strike of the Klondyke shear zone, which is littered with historic gold workings. In fact there are around 200 small scale historic workings at the project that were mined at grades that would make even the most hardened of modern day miners blush. These include 187 g/t at the “Klondyke Queen” workings, 184 g/t at the “British Exploration of Australia” workings and 167 g/t at the “Cuban” workings to name just a few. With a drill campaign that seemingly cant miss an ore body, grades going over 2 ounces to the tonne, an existing resource already in place, $4m in the bank and a share price of just 2.5c, there appears to be some upside to this one.